In addition to the new Acura RLX with Technology Package, the sedan is available with an Advance Package that raises the stakes on modern luxuries. 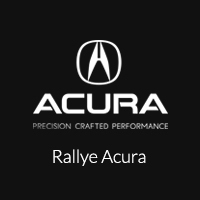 If you’re not sure which is the right car for you, Rallye Acura is here to help. Albany drivers can get behind the wheel of one or both of the RLX sedans by contacting our dealership and scheduling a test drive. We can go over all the details in person and ensure all of the tech features are intuitive and familiar.